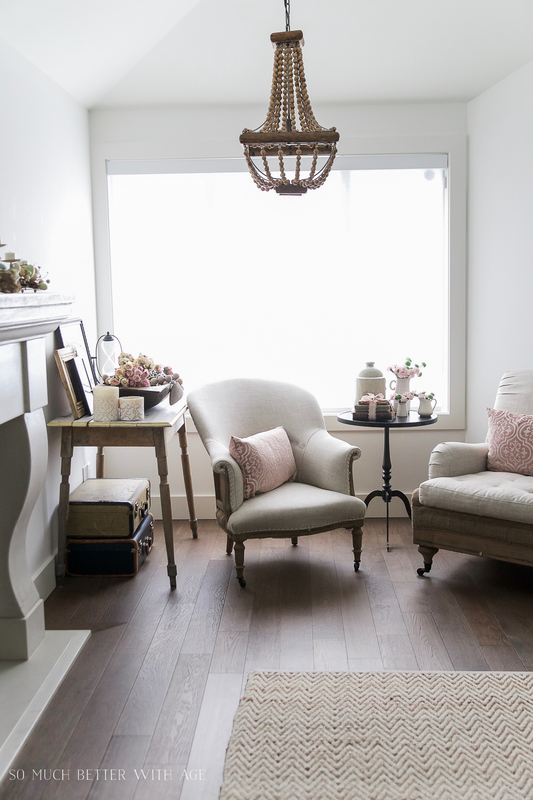 Spring is here with my spring flower home tour. 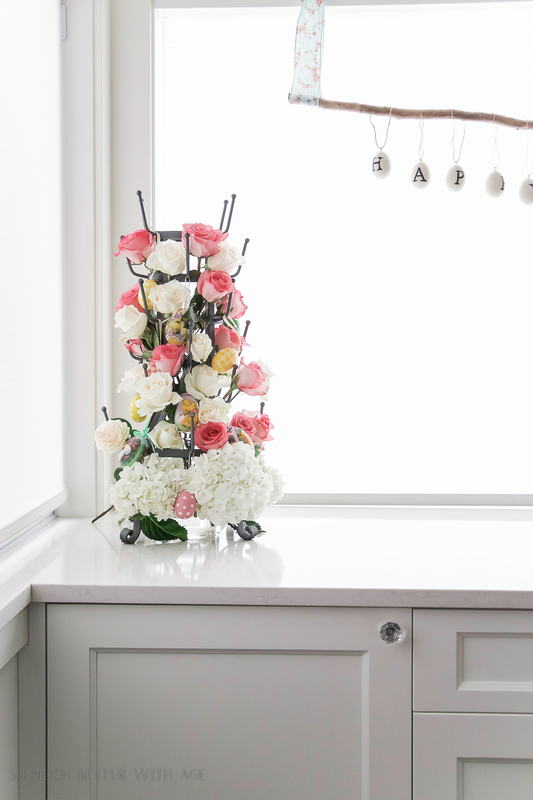 Also, see how I created this french bottle drying rack (or mug holder) floral centrepiece. 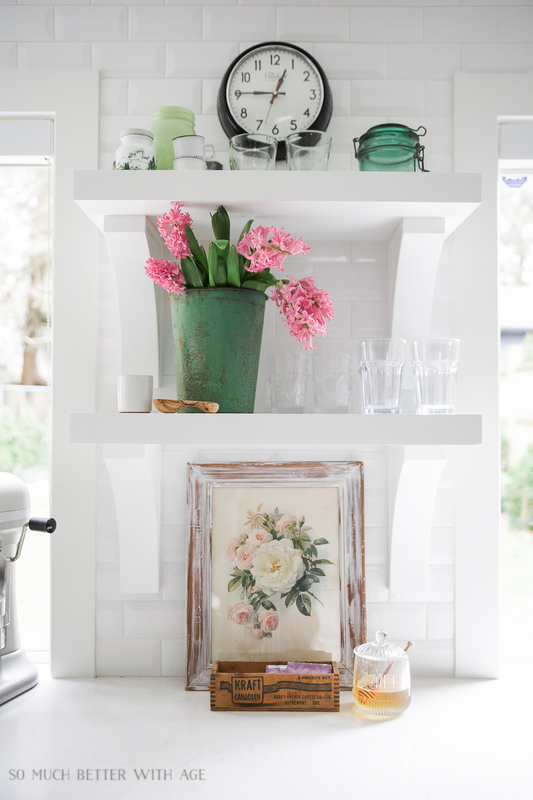 Flowers are essential for spring and we have plenty of flowers today in my spring home tour. 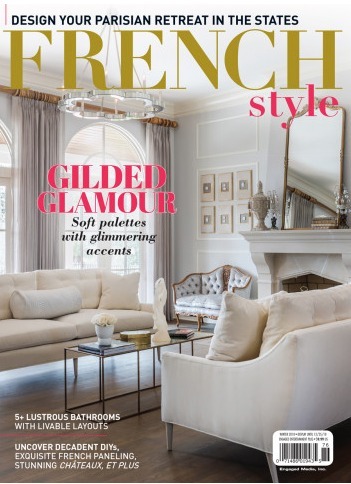 I had a French vintage spring tour last week and before that a spring kitchen tour. With all the tours and projects I’ve been making, I have had a lot of flowers in the house for photo shoots so today is a round-up of all the gorgeous flowers that have been shot around my house. If you’re a French vintage loving girl like myself, you might have one of these French bottle drying racks in your home. There are many reproductions sold in stores now as mug holders. 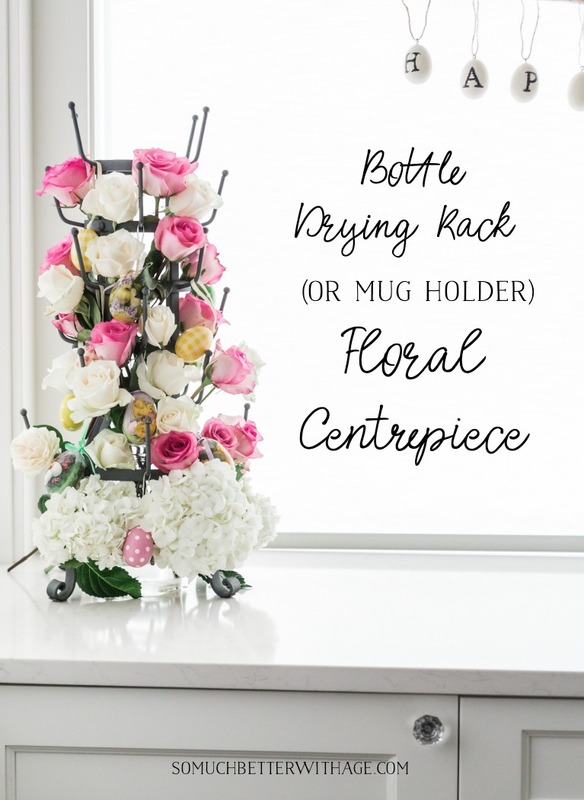 I’ll show you how to make your own floral centrepiece using a mug holder. 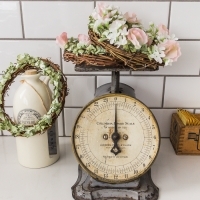 It’s such an easy way to make a floral centrepiece for your dining table for Easter, a birthday party or on your kitchen counter. 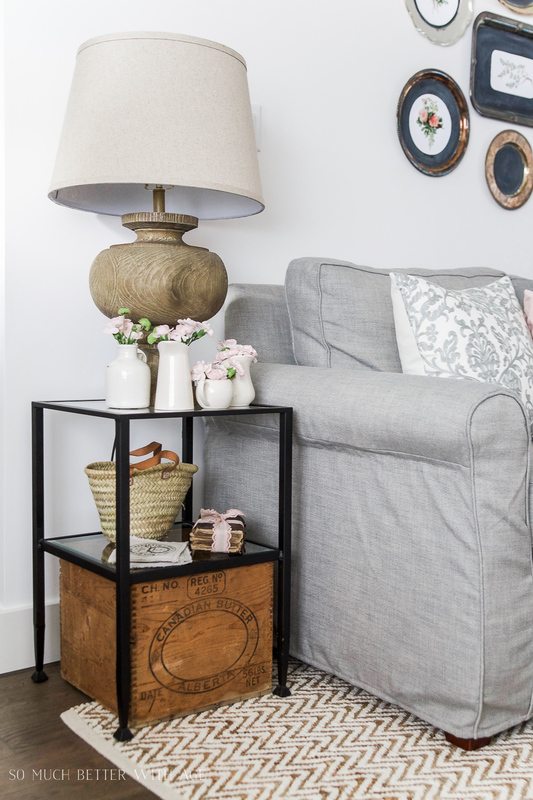 Today I’m also participating in a Canadian Bloggers Spring Home Tour so be sure to check out all the spring inspiration at the end of this post. 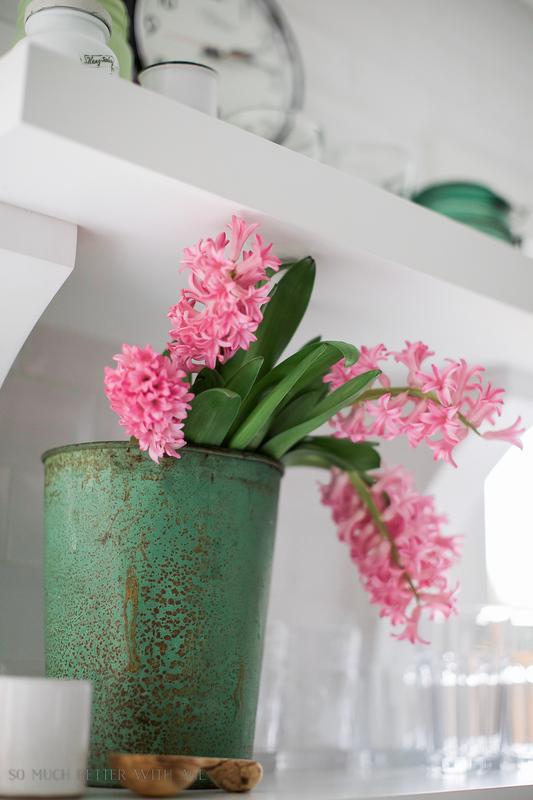 These fragrant hyacinths are a beautiful way to bring spring into your home. The smell is just delicious. 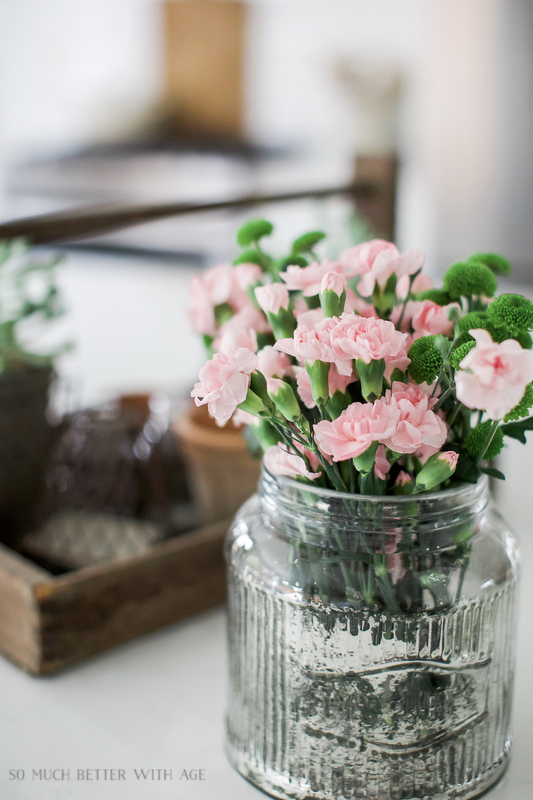 Just some simple carnations along with some greenery make a pretty statement. I even added them to little pitchers to bring some pink prettiness to the living room. 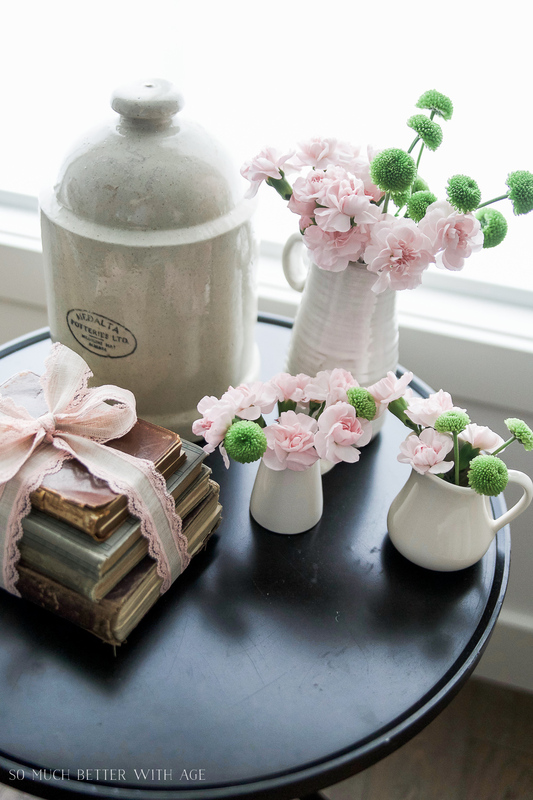 It’s amazing what some flowers and pink pillows do to a room. 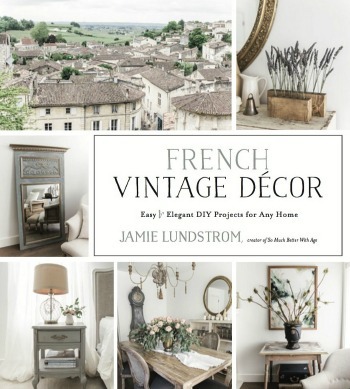 Click here to see my full French Vintage Spring Tour. 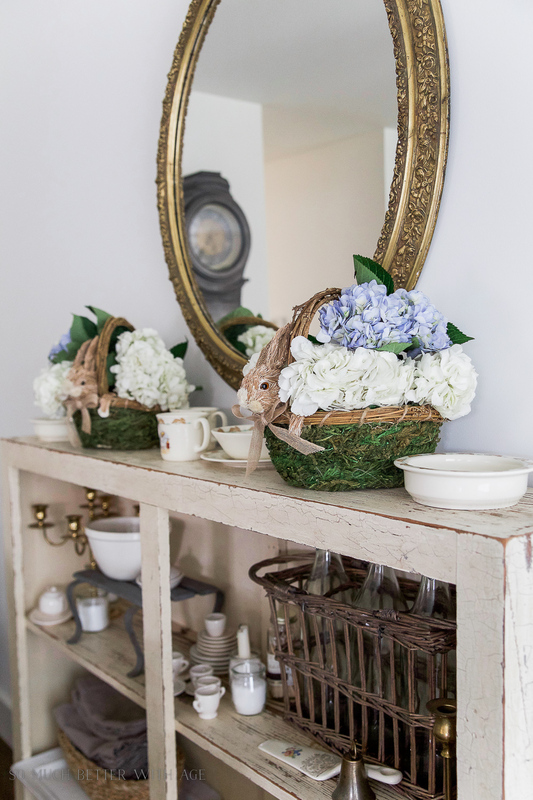 Click here to see how I made this Peter Rabbit inspired Easter table. Isn’t it the sweetest?! 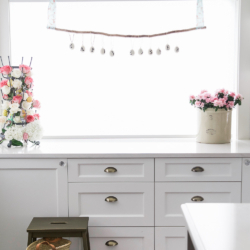 You can find all the details of my spring dining room in this post. This little project was so easy to make. 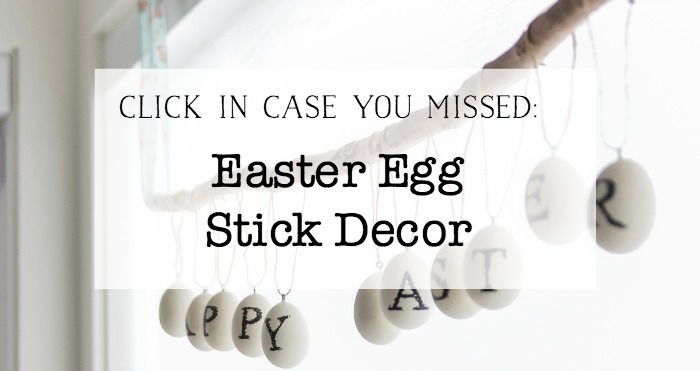 Click here to see how to make your own Easter Egg Stick Decor. 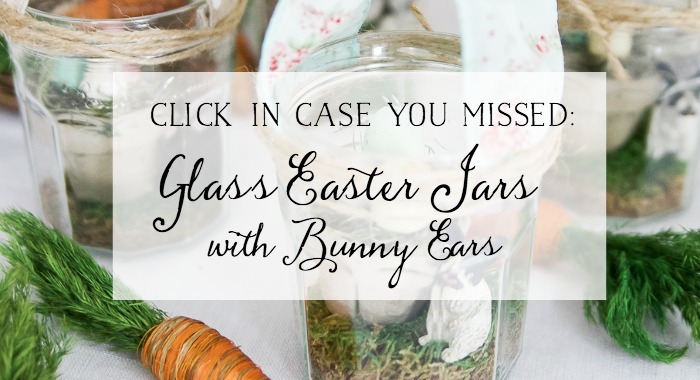 Add the Easter eggs to every holder. Place your centrepiece in the area where it will stay as it will be difficult to move later. Fill a vase with water and put the drying rack over it. Start adding roses from the middle and up to the drying rack keeping the stems long. 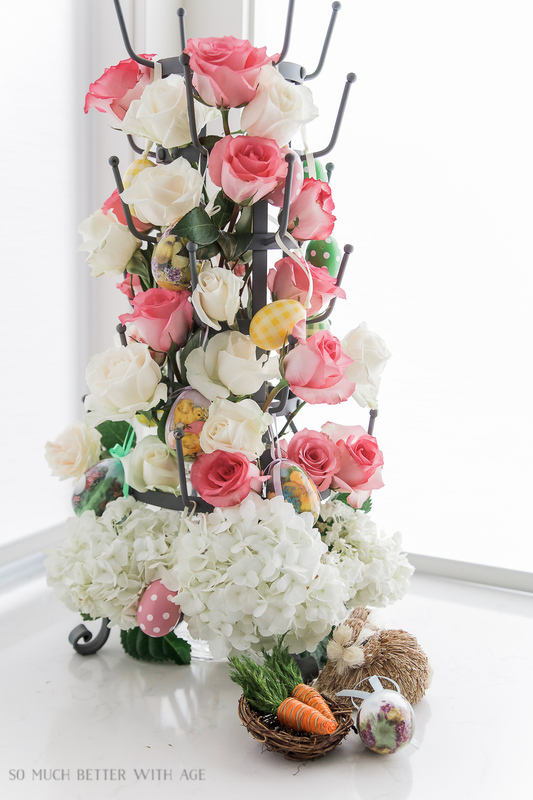 The roses that get placed in the middle (from the top of the vase) will need to have shorter stems. Add to the drying rack then cut the stems to determine the right height. The lower roses will need smaller cups of water around the big vase. Find narrow shot glasses if you need something skinny to fit around it. Stick the 6 big hydrangea at the very bottom part of the rack to fill in the space. I really like how it turned out! It’s such a fun way to use an everyday object in a unique way. 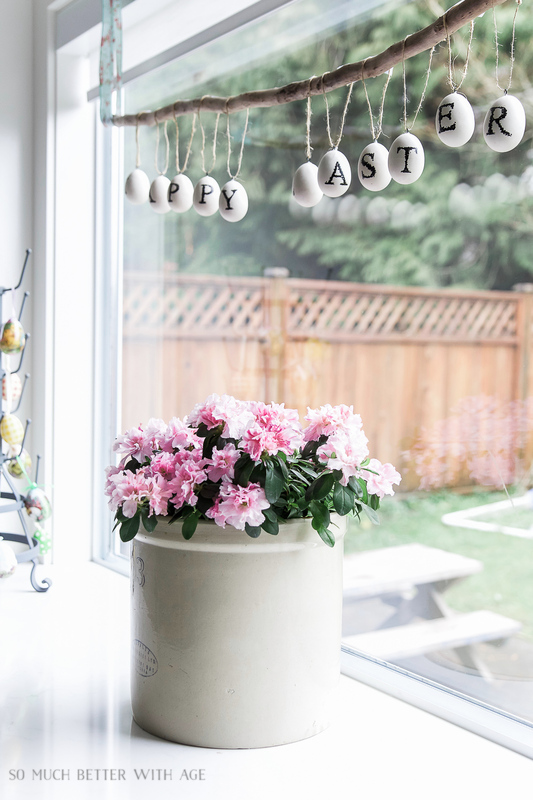 It looks so pretty with the Easter egg stick decor too and a crock full of azaleas. I have to give thanks for the roses: the pink ones are from my boyfriend Aaron, thanks honey! And my girlfriend Allison came by with the white roses. Thanks girl! I hope you enjoyed the tour. Be sure to catch all the Canadian tours now below! LOVE all the flowers and drying rack. It’s finally looking like spring everywhere and I love it! It’s going to be in the 60s-70s for the next several days and I’m so excited to get outside! 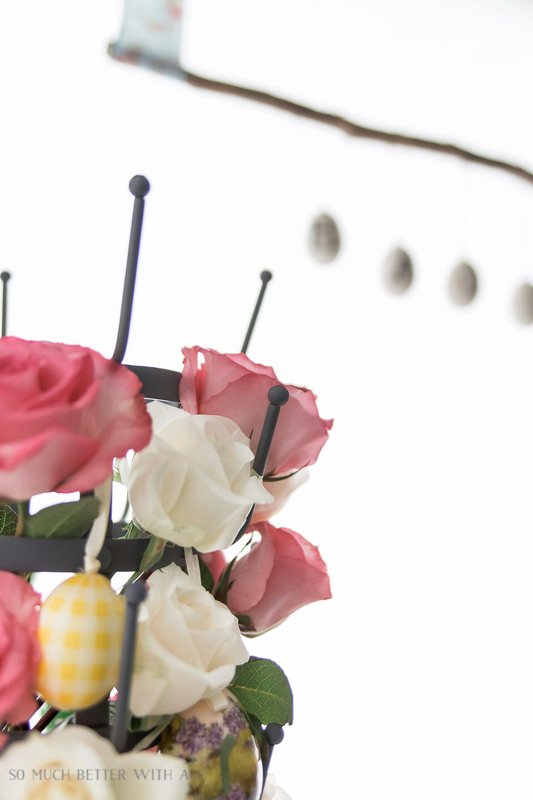 Wish I had some rosebushes to cut from to make a centerpiece like yours! Love your posts! Thanks so much, Elizabeth. I wish I had rosebushes too! Beautiful, Jamie! 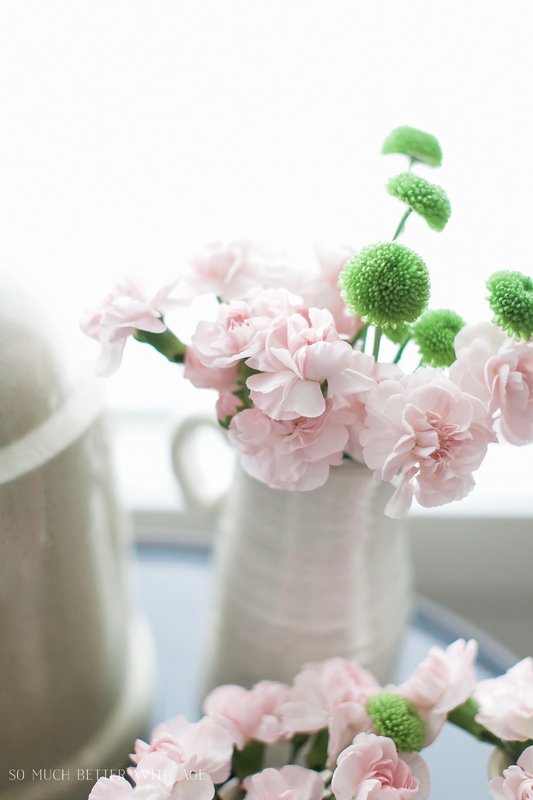 Your home is the perfect backdrop to whatever you add, like these pretty flowers. That’s why I love neutral spaces. Happy spring! Thanks so much, Shauna! I love neutral spaces too. hey girl- love the tour, so pretty! The flowers are amazing! Jamie! Your tablescape! Your kitchen! beautiful! Such a lovely tour! 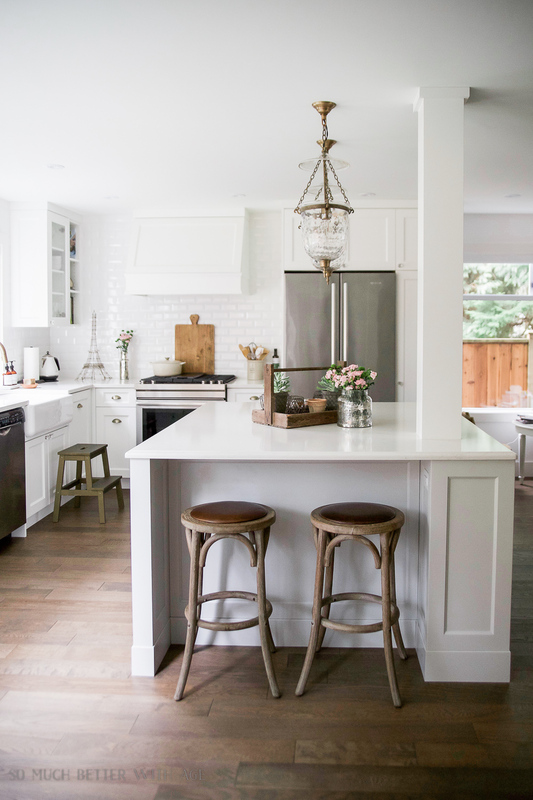 Your gorgeous kitchen gets me every time, love it! So many beautiful details Jamie. I have that same wooden “butter” box from Alberta too! 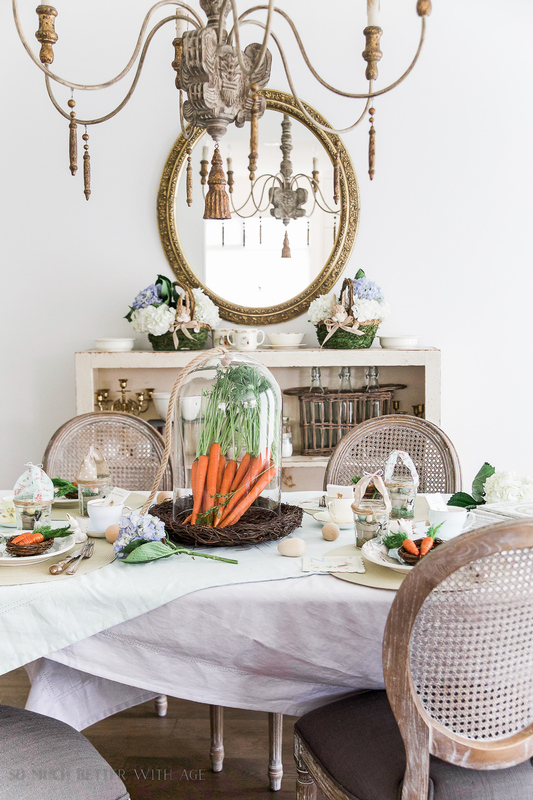 Everything looks amazing…all the flowers, the Peter Rabbit table, the carrots. So inspiring! Oh my goodness! SO beautiful!! I love all of the pink flowers and your drying rack looks gorgeous. 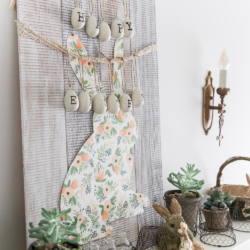 Looking forward to seeing your Easter table too – super cute! 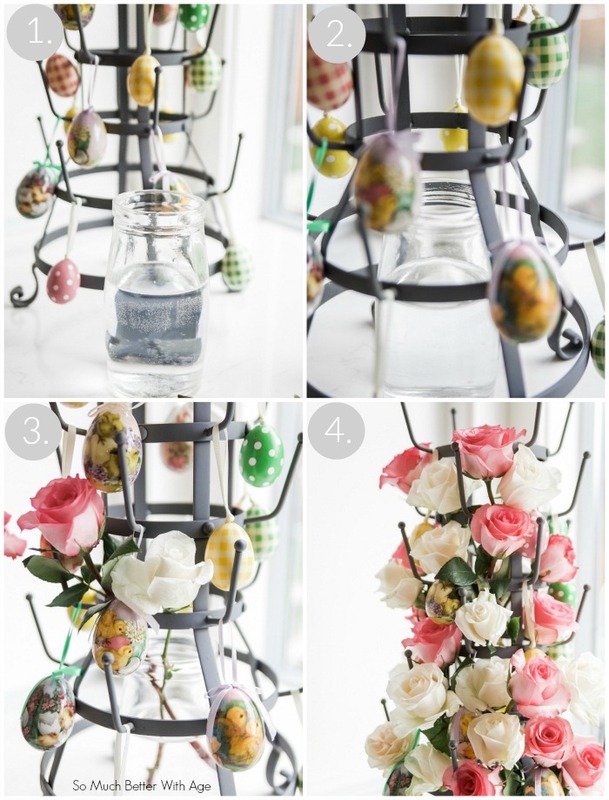 Jamie, I love how you turned the bottle drying rack into that gorgeous floral centerpiece! 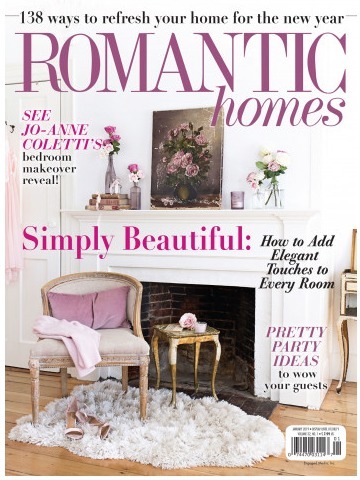 Your home is so delightfully dressed for Spring! Thank you so much, Shirley. You always leave me the sweetest comments. Gorgeous, Jamie! Your photos are so beautifully styled and the clarify! Wowza. 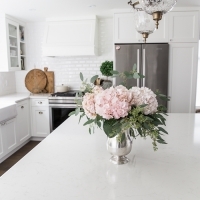 Your home is so pretty and welcoming; and I love all the fresh springy colours that you added in this season! 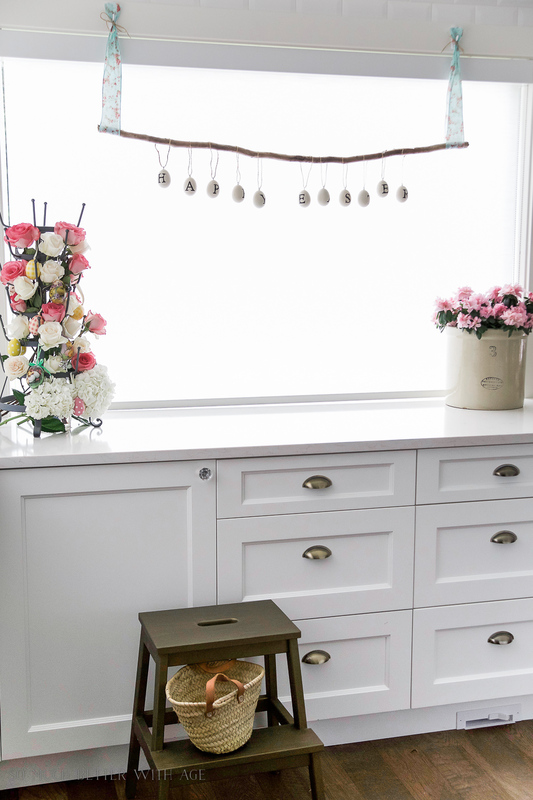 Okay, the bottle drying rack DIY = brilliant! 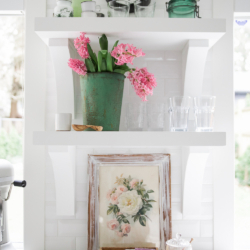 I don’t think I’ll ever be able to get enough of your open shelving in the kitchen! Stunning! Thanks so much, Julie! You’re too kind! Thanks babe! And thanks for being my blog/HTML guinea pig! Hope you get this reply email. 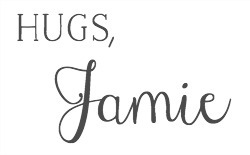 So creative, Jamie! I love it!